Weston Super Mare 2008 to ? 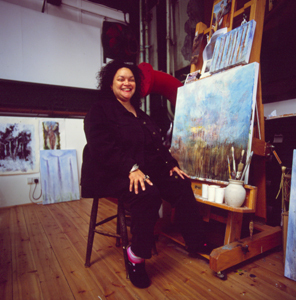 Over the course of the last fifteen years Elizabeth has emerged as one of leading lights of black British artists who has developed and nurtured a body of spritual art and christian art to much acclaim. She has appeared in the first edition of the ‘Black Who’s Who’ and was invited by the Bermudian Government to present one of her works for the Government collection. Whilst building her own collection of work, Elizabeth has also invigorated the West London Art scene and established one of the foremost artist collectives at Diesel House Studios in West London. 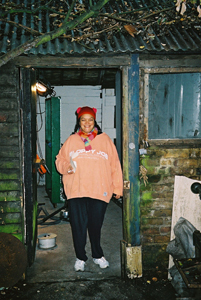 Following a ten year career in fashion Elizabeth was inspired to return to her creative roots and in 1997 was offered a residency at Redless Art Studios, one of the first West London Artist Communities. 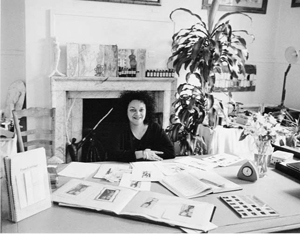 It was whilst she was based here that she held her first solo exhibition in many years entitled ‘Black Angels – White Devils’ a celebration of christian art to critical acclaim. The show included guest spots on BBC London radio with Andrea Oliver (click on audio recording below), features in national and regional publications including The Voice and What’s On in Londond and sponsorship provided by Mercier Champagne. 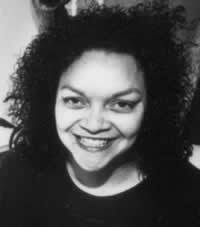 As part of the show, Elizabeth worked alongside Colin Riley (www.colinriley.co.uk), a composer for the English National Opera who composed an especially commissioned string quartet work entitled ‘Still Moving’ for the exhibition, ‘Black Angels – White Devils’ (click on audio recording below). 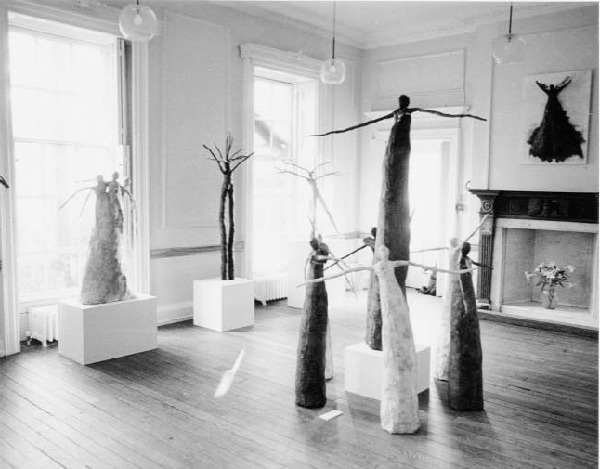 Following the end of her residency at Redless Studios, Elizabeth was invited to take up another residency at Newman House, which was once the home of Cardinal Henry Newman, within the grounds of Greycourt School in Richmond, Surrey. 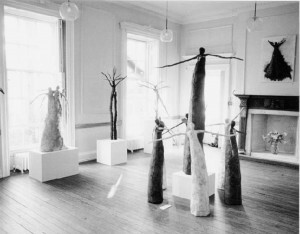 Whilst at Newman House, Elizabeth’s research for a new body of work based on Henry Newman’s ‘Dream of Gerontius, lead to many further succesful exhibtions including the collaboration with the Rambert Ballet Company and the Isleworth Actors Company who used Elizabeth’s angles as the inspiration for dance and dramatic works. It was also whilst building her new collection of work, Elizabeth was invited to appear in the first edition of the ‘Black Who’s Who’ in recognition of her contribtuion to the arts. Coincidentaly, it was only towards the end of her residency that Elizabeth discovered, as part of her research on Newman, and through visionary dreams, that Newman himself, had seen angels whilst he lived at Newman House in his early childhood and was part of his inspiration for joining the clergy. Through an introduction from a close friend who had heard of her search, Elizabeth was invited to inspect a studio at the Diesel House based at Kew Bridge Steam Museum, close to the River Thames at Kew. The site was semi-derelict and rather surprisingly she found that the stuio was 1,500 sq feet! 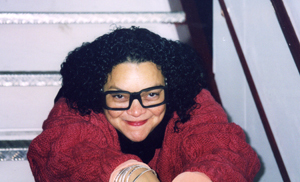 Instead of walking away, Elizabeth decided to build an artist community which would include a studio for herself and in February 2001 the studio opened, after being forced to sell her home to fund the renovations. It was a painful process and involved many friends and fellow artists but was something she would not ever regret. 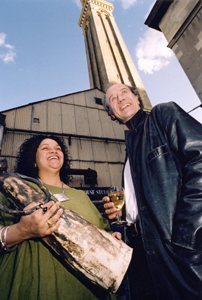 At its peak in 2007, Diesel House Stuiods was the largest privately run studio provider in West London and had, within a six year period, been partly responsible for reinvigorating the West London Art scence. The studios included those at Johnsons Island and those managed for Friends of Dukes Meadows, which had been designed and managed by Elizabeth. Weston Super Mare 2008 to ??? Elizabeth decided to move to Somerset in 2008 to allow her to focus on her own work, away from the distractions of running studios in London. Whilst they continue to operate, Elizabeth is now focussing on her next collection entitled ‘The Pilgrimage’, which is centred on the subject of her life journey to date. The studio at her Somerset home has now been built and the exicting work of starting a new collection has begun.